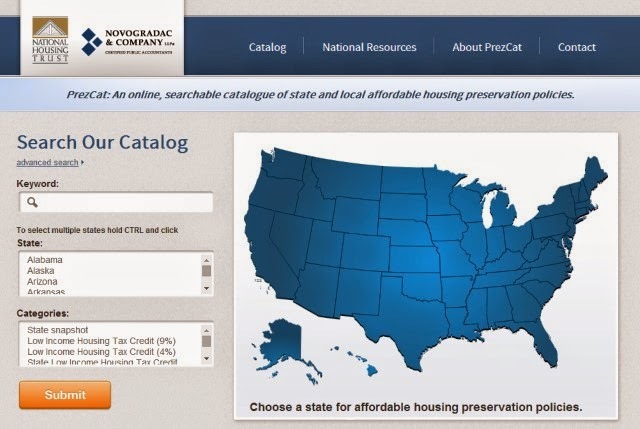 To help communities learn from other communities’ approaches, NHT developed PrezCat, an online catalog of state and local affordable housing preservation policies. PrezCat allows affordable housing preservation developers, housing finance authorities, housing advocates, state and local decision-makers and other stakeholders to easily search and query policies, data and programs that are most relevant to their short and long-term needs. Try it today to see what policies your community has in place to preserve existing affordable housing and to compare it to other communities’ initiatives.